Yay! I’m finally back in Quincy! I spent a long weekend in Pittsburgh with family & had a great time! I also got some beading done! Before I show you the progress of my beaded White House painting, I want to show you the new project I started. No, it’s not a portrait of Michael Jackson, President Obama, David Bowie, or Bob Dylan.. 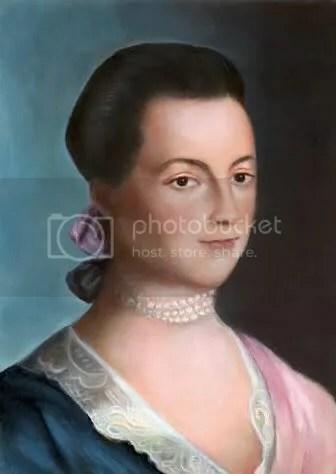 It will be a beaded portrait of Abigail Adams. Semi-beaded portrait of Abigail Adams. 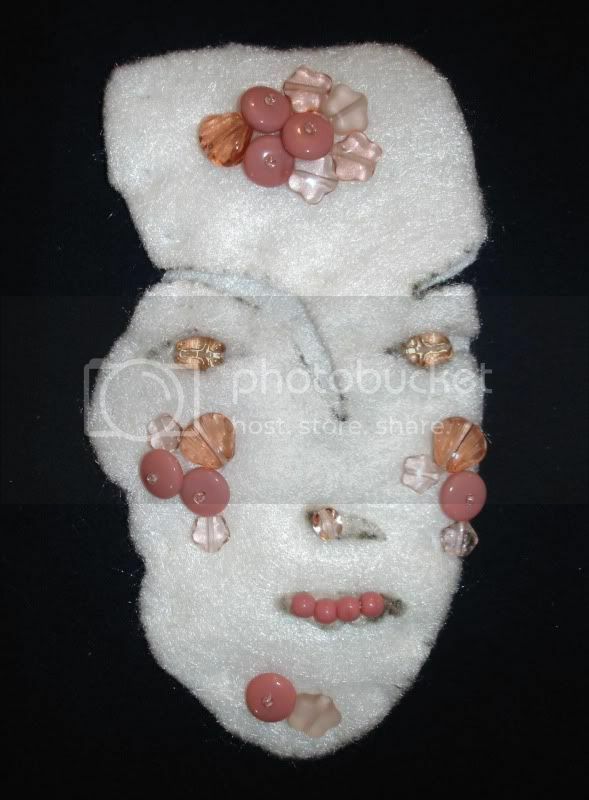 Bead embroidery on felt. 4.5″ x 2.5″. Work in progress. >Weird timing – I just watched the HBO John Adams mini series and was fascinated by John, Abigail and their kids – not to mention their acquaintances….I'll enjoy watching the progress of this one! >Wow, you are going to be busy, girl. But, I think both projects have a definite theme. These would be stunning together also. >The colors in the painting are beautiful. Can't wait to see the progress you make on this! >Fabulous and lovely project LB! The only thing I could actually realize would be the pearl necklace ;-)Abigail is a good choice indeed! Thanks also for the very interesting info about the United first Parish church. Have fun and Bonne journee! >really unique and beautiful work! >Wow that will be amazing LB!